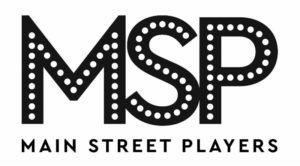 The Main Street Players in Miami Lakes is pleased to announce it’s 2018 New Play Competition. As part of our mission, we want to support local playwrights and bring new plays to the South Florida Theatre Community. It is our hope that the winning play be workshopped, produced, and presented as part of our 2019 season. 4-7 Characters desired, but there is flexibility. A Unit Set or limited set requirements. A running time of approximately 90-120 minutes. The deadline for submission is February 28, 2018. Stage Door Theatre is on the move!